As the new year begins, the path leading to our 2015 harvest has now entered its eighth month. Each vintage starts from the commencement of pruning, as this is where the template for the harvest is (literally) laid down. Since the completion of pruning, budburst began on the 11th of September, which is later than last year but this is historically speaking still earlier than say 10 years ago. That said, it has been a case of so far, so good with the growing cycle in vineyard as we have successfully navigated the inherent frost risks of the cool climate of the Macedon Ranges, along with maintaining adequate moisture to the vines at key points throughout the below average rainfall we have/haven’t received going way back to last August. The weather itself has been fairly moderate, with only a few days reaching above 35 degrees (so far). This relatively balanced weather, along with robust vine & soil health contributed to a successful flowering period throughout the vineyard which has resulted in good yields along with healthy looking bunches. But it’s early days as harvest is at least 14 weeks away, and January & February is being predicted to particularly hot by our good friends at the Bureau of Meteorology, so as they say, it’s not over till it’s over! 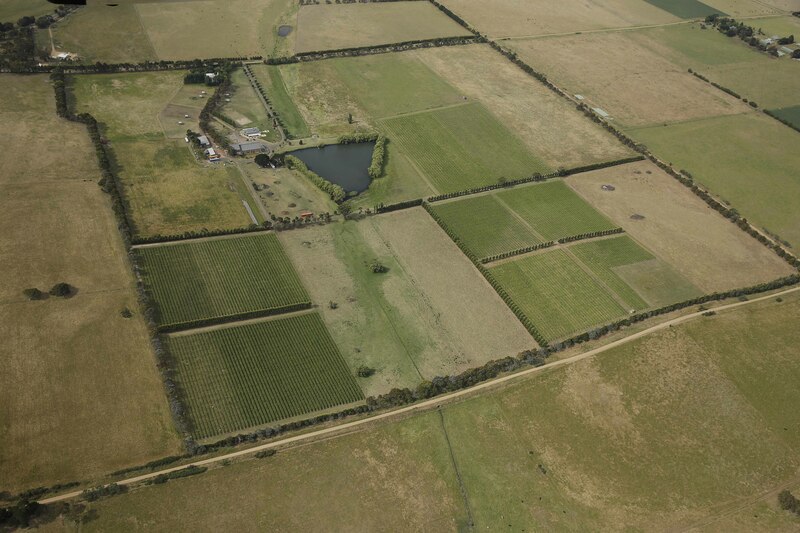 Meanwhile for a different perspective of Curly Flat, below are some aerial photos taken of the vineyard back at the start of December 2014, along with a photo denoting the successful flowering. Next step for us now in the vineyard is to do a population sample of the bunches which allows us to gather an approximate tonnage for harvest in a few months time. We’ll keep you update on how this vintage unfolds, but by all means come and visit us and talk to us first hand, along with a wine tasting of some Curly Flat to help celebrate the new year that lays ahead! Curly Flat Vineyard from a distance. 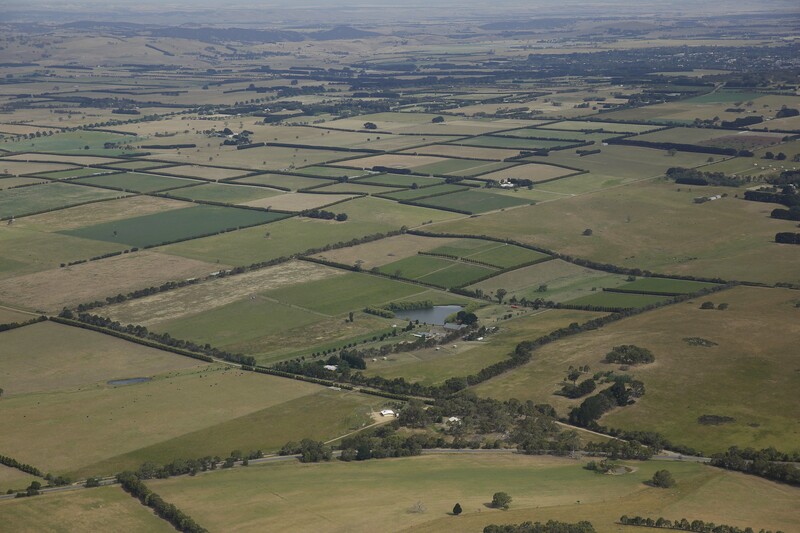 This photograph was taken facing to the South-east, looking upon the pastoral landscapes, of Lancefield, Romsey and onward. Curly Flat Vineyard, a closer inspection. The dark green areas of the vineyard denote where there is frost protection via overhead sprinklers. For more on our frost protection click here. Just an example of the good fruit set in the vineyard. 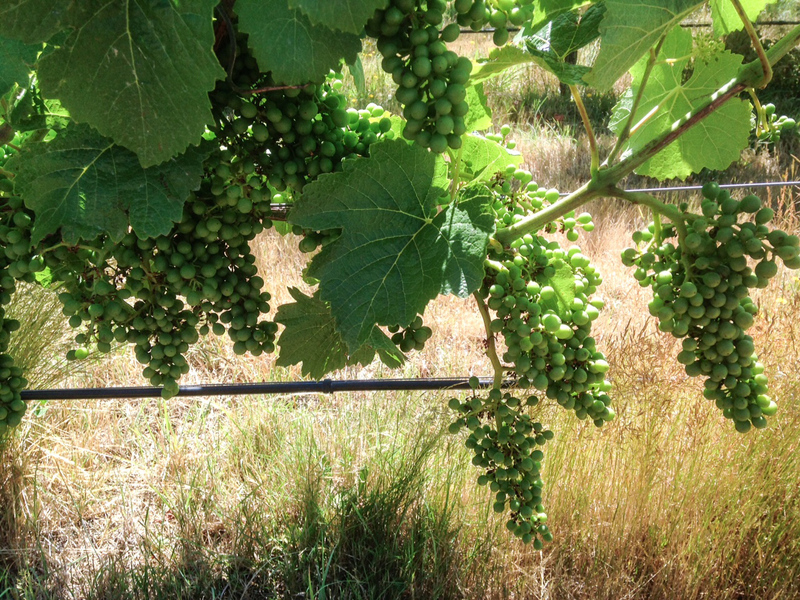 Pictured are bunches of Mariafeld Clone Pinot Noir, which is classically a looser bunch than the classic tight knitted ‘pine cone’ shape normally associated with Pinot Noir. Next Next post: Love Pinot Noir and all things porcine? Well get down to Wine: Swine: Melbourne!